The MindMi™ system was launched internationally at the largest annual Human Resources conference. 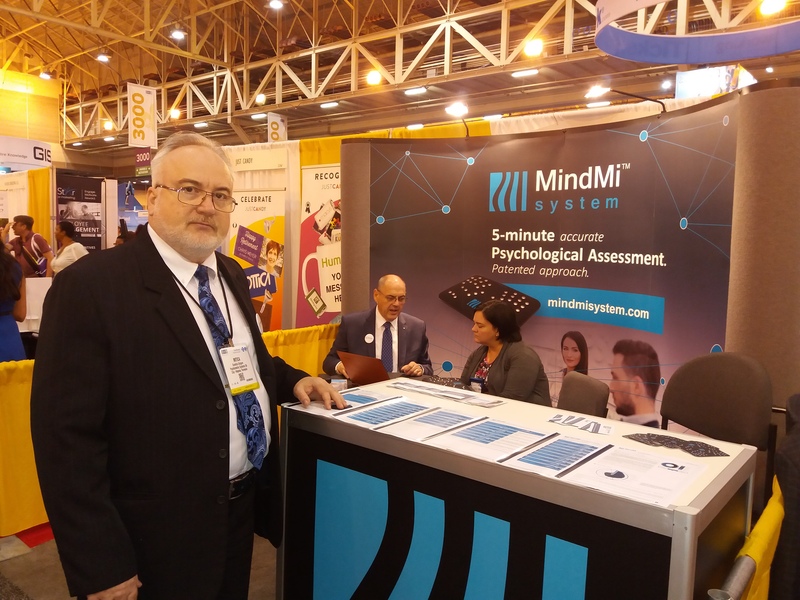 More than 15,000 specialists in the field had the opportunity to meet MindMi™ technology at the Psychometric Systems stand in the exhibition space of the conference. In order to help HR professionals identify and implement HR strategies and practices to ensure organizational success through advanced technologies, the SHRM17 conference has made available to the participants over 200 workshops and 600 exhibitors. 45% of the interviewed employers said the biggest challenge they face is to speed up the recruitment and selection process and get qualitative information that they can reasonably support their decision (Background Screening Trends & Best Practices Report 2017). To meet this challenge, MindMi™ technology provides the optimal solution by providing users with a psychometric rapid psychological evaluation system using a IoT device and a server algorithm. Visitors to our stand have found that the MindMi™ rating takes only 5 minutes, during which the same number of readings behind the sensors for each person is carried out. Dozens of examiners wanted to test the fast and completely standardized method that requires only correct positioning and holding hands on the scanner until scanning is complete. MindMi™ does not involve specific stimuli or tasks applied during the examination, and the results do not depend on a specific activity. The scoring is done automatically and, depending on the objectives of the assessment, the examiner can choose for different types of psychological reports, the generation of which takes a few seconds.